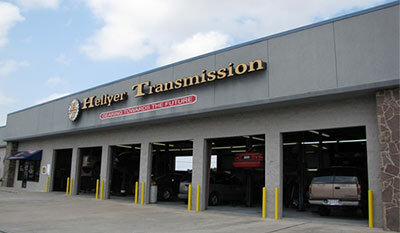 Hellyer repairs foreign and domestic automobiles, light and medium duty trucks. From a simple front wheel drive car, to a four-wheel drive work horse, Hellyer Transmission & Automotive has the tools and experience to do the job right. Hellyer Transmission & Automotive Repair has provided Deer Park and surrounding areas with over 100 years of automotive and transmission service experience combined. We know how important a reliable vehicle is to your peace of mind and Hellyer Transmission & Automotive provides service you can rely on. We recently expanded to over 7000 sq feet of shop space to better service our customers. Our family owned and operated business is proud of our community and your satisfaction is our priority! Water Pumps and a whole lot more! All auto repairs are guaranteed.